Can you use Alibaba to dropship? What are the opportunities and limitations of this website? How is it different from AliExpress, and which of these platforms is more convenient for drop shipping business? Let’s figure it out! Sometimes, AliExpress and Alibaba get mixed up. Entrepreneurs-to-be don’t see the difference between these platforms, and think that they can find drop shipping suppliers on both of these websites. In fact, this is not entirely true, so let’s discuss it in more detail. Why would anyone want to use Alibaba to dropship from? The answer to this question seems to be pretty obvious: Alibaba is a eCommerce giant of a global importance. In 2017, it earned the status of one of the world’s top 10 most valuable companies, on a level with Facebook and Amazon. In 2018, it was calculated that Alibaba has the 9th highest global brand value. Alibaba, indeed, is one of the largest eCommerce websites in the world. Here, thousands of suppliers and manufacturers (mostly originating from China) showcase their offers and communicate with potential buyers. 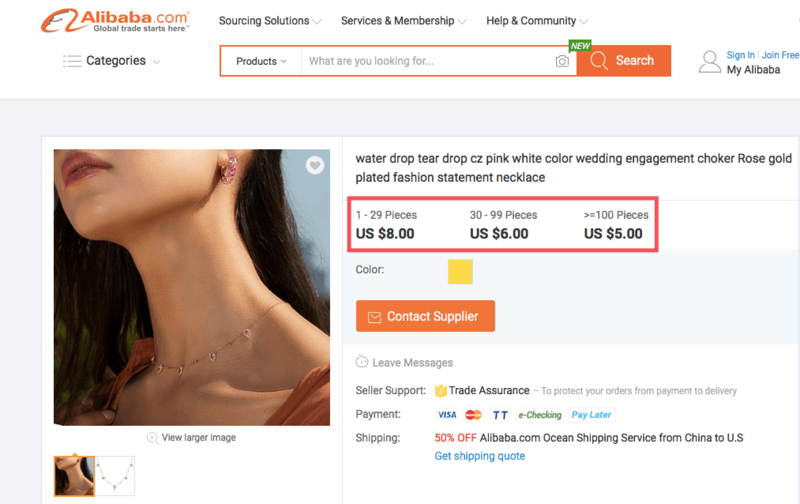 The suppliers featured on Alibaba charge moderate prices for their products; plus, the bigger is your order amount, the lower is the price per one item. Alibaba facilitates the communication between entrepreneurs around the world and allows easy, transparent transactions. Still, when you consider the potential of Alibaba as the platform for drop shipping suppliers search, you need to remember: Alibaba operates as a B2B website. What makes AliBaba inconvenient for dropship store owners? The B2B (business-to-business) model means that end users (regular people who just want to buy something for their personal use) never participate in the transactions. The deals are made on a corporate level: one company agrees to cooperate with another, and their partnership has a more or less official tone. This is why you won’t see Alibaba ads in your Facebook feed or elsewhere: you are not the target audience of this platform’s sellers. Instead, the companies listed on Alibaba target other businesses, and obviously, it impacts their promotional and selling techniques. To be more precise, one of the most important aspect of operations on Alibaba is its focus on wholesale activity. Since Alibaba sellers are not attracting end users, they don’t see the need to sell one item at a time. Instead, they have a minimum order requirement. Simply speaking, the majority of the sellers will only allow you to buy items in bulk. 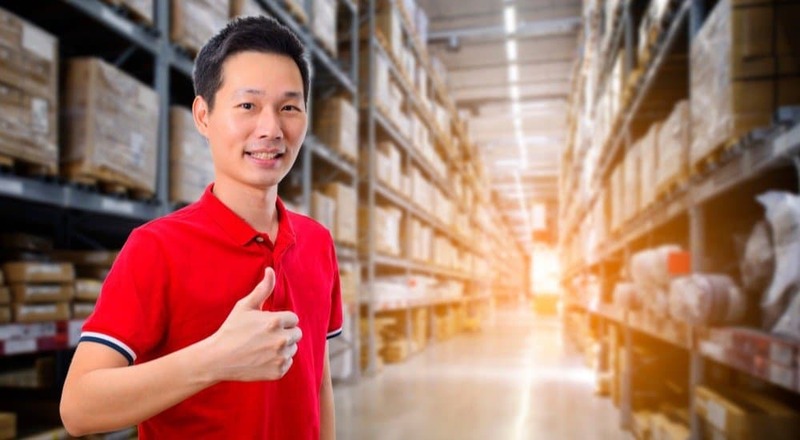 So, you will have to purchase several hundreds units of the same item, keep them in stock in your own warehouse (if you have one), and then ship them to your customers by your own effort. None of this sounds like a proper drop shipping business, right? It’s more like the usual reselling of the products that you physically possess, and, if you want to run an online business without inventory, Alibaba doesn’t suit you well. Theoretically, you can try finding the products that don’t require a large minimum order. To do this, you need to put “2” in the “Min Order” field. On the search results page, you will see the products that can be ordered in a single unit. But, sadly, in this case you won’t get an appealing price: since Alibaba is aimed on wholesale, the sellers set higher prices for smaller amounts of the ordered goods. Plus, it’s simply not likely that large-scale manufacturers will be interested in your one-time orders of a single product; after all, they have joined this platform for a completely different reason. Does it mean that it is entirely impossible to use Alibaba to dropship? 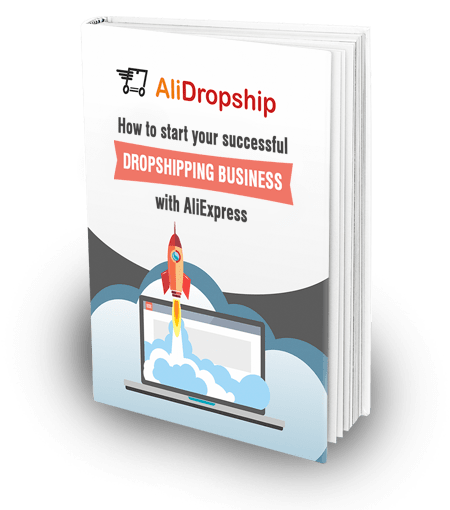 So, you can’t refer to Alibaba sellers as to your drop shipping suppliers, and you definitely can’t open your own drop shipping store within this platform because it won’t make any commercial sense. If you have already tried all the ways to generate product ideas that we have shared earlier, Alibaba might become an interesting destination for your creative pursuits. Maybe, some of the products demonstrated on the platform will give you a brilliant idea of a moneymaking drop shipping niche! What is the average level of retail prices for the items demonstrated on Alibaba? Researching the offers with the minimal required order amount, you will get a general idea about the traditional price levels that are customary for this particular product type, and it will help you create your own pricing strategy. Quite often, manufacturers are ready to sell their items to both the businesses and end customers. But, obviously, they choose different channels to target and reach these opposite types of buyers. As a rule, they use Alibaba to interact with companies, and they prefer AliExpress to contact private individuals. So, if you like the product range of some particular Alibaba seller, contact this supplier and ask whether he or she has a store on AliExpress. There, it will be much easier for both of you to communicate on drop shipping terms. You can even ask the manufacturer whether it would be possible to produce custom-made items on your request and distribute them through AliExpress – what if it will give you an access to absolutely unique items? Why would you choose AliExpress over Alibaba to dropship from? Actually, we have already explained what makes AliExpress such a convenient platform for the suppliers’ search, but let’s go over the major points once again and compare this website to Alibaba. What aspects help AliExpress stand out? Frankly speaking, you can easily get lost on Alibaba. Try writing the same product query in the search field on Alibaba and AliExpress, and you will instantly understand which of the platforms has a more convenient product filtering system. AliExpress is famous for its low prices. That’s exactly what makes is so appealing for private buyers all over the globe. Plus, it’s the perfect reason for you to consider adding these affordable product to your own webstore. You won’t even have to order hundreds of items to get these appealing prices! That’s probably the best thing for a drop shipping store owner. 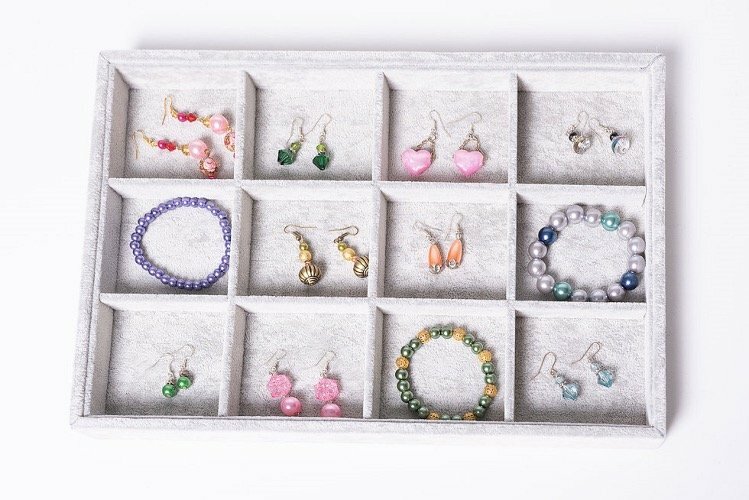 On AliExpress, you can order as many items as you need, and they will be shipped directly to your own buyers, so you won’t have to keep physical stock. AliExpress was designed as the platform which connects manufacturers with end users. So, it allows regular customers to talk to the sellers freely and conveniently. You can count on a timely reply from an AliExpress seller, and, as a drop shipping store owner, you can even expect an easy refund procedure in case your customer gets a faulty package. In the description boxes of many product pages on AliExpress, you will see something like “welcome, dropshippers”. It’s really illustrative: most of the local sellers are happy to cooperate with drop shipping store owners. This partnership gives them a constant flow of orders and is more beneficial that one-time purchases from usual end buyers. Plus, you don’t necessarily need to have an official registration as a business entity. AliExpress is designed as a B2C (business to consumer) platform, and the local sellers easily accept orders from private individuals. This is why they will never ask you for a license or anything like that. 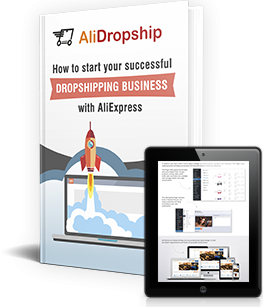 Now, you know more about the possible ways to use AliExpress and Alibaba to dropship. We hope the knowledge will be highly beneficial for your drop shipping business!